TRILOK STEEL INDUSTRIES is maintain one of the nation's largest and most diversified inventories of Stainless Steel Ornamental Tubemanufactured as per with national and international standards.Our Stainless Steel Ornamental Tubingis available in a variety of sizes and can be cut and polished to your specifications. We are well known supplier, stockist & distributor of ornamental Tubingin a number of standard sizes and grades, including 304/304Land 316/316L. Trilok Steel Industries well known as Stainless Steel Ornamental Tube manufacturer in India.We have stock of ornamental stainless tubing, including round, square and rectangular models. Buy SS Ornamental Tubeat best price in India. 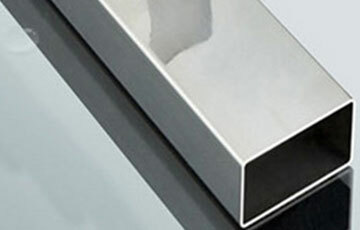 Stainless Steel Ornamental Rectangles Tube size range Rectangles - 1/2" x 1" to 12"
At TRILOK STEEL INDUSTRIES Stainless Steel Ornamental Tube offers the important benefit of corrosion resistance, along with a polished appearance that is easily maintained.Generally, these Ornamentaled steel tubes are easy to weld, cut, form and machine with the proper equipment and knowledge.We offer a comprehensive range of SS Ornamental Tubes to our customers in various industry verticals. Ornamental stainless steel tubingare widely used for all kinds of structural applications and fabrication projects where greater strength and superior corrosion resistance is required. According to the different applications, the Stainless Steel Seamless Ornamental Tubeshave different diameters. Whenever, any customization is needed, these Ornamental Tubes can be customized very easily. Trilok Steel Industries stock ornamental round, ornamental square and ornamental rectangular shapes in standard mill finish, as well as 180 Grit polish or 600 Grit Polish & Buff.Stainless Steel Ornamental Tubing can be supplied polished to a 180 grit, 240 grit or 320 grit finish. With our various satin finishes we can supply the perfect polished round ornamental tubing, square ornamental tubing or rectangular ornamental tubing to suit your needs.We can customize the ideal Stainless Steel Ornamental Tubingfor your unique application.Contact to Trilok Steel Industries for confirm availability and pricing. As a largest stockholder of Stainless Steel Ornamental Tube, we have huge inventory of Stainless Steel 304 Ornamental Tube, Stainless Steel 304L Ornamental Tube,Stainless Steel 316 Ornamental Tube,Stainless steel 316L Ornamental Tube and stainless Steel 201 Ornamental Tube. 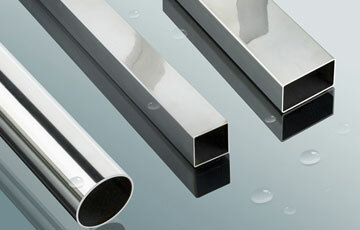 check latest updated price of Stainless Steel Ornamental Tube. Stainless Steel Seamless Ornamental Tubing, SS Ornamental Tube sizes in india, SS Ornamental Tube Dealer in India, High Quality Stainless Steel Ornamental Tube, Stainless Steel Ornamental Tubes Exporter in India,Ornamental Stainless Steel Tubing Exporter, Seamless Stainless Steel Ornamental Tubes. Suppliers of Stainless Steel Ornamental Tubes, Stainless Steel Ornamental Tube 38mm, 304 Ornamental Steel Tubes, Stainless Steel Ornamental Tube Exporter, SS 304 Ornamental Tube size Chart, SS 316 Ornamental Tube Supplier in Mumbai, India. Stainless Steel Ornamental Tubes are finished in accordance with customer needs regarding dimensional and wall thickness specifications as well as heat treatment for more demanding applications. 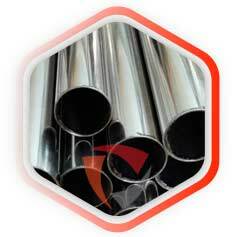 In general a Stainless Steel Ornamental Tube is manufactured according to current standards API, ASTM, and ASME. If required for special projects we can also supply large diameter Ornamental Tubes.